When I was reading this book...: ... hubby was sleeping and he didn't wake up (99% of time he wakes up when I start reading in bed). I would never know about this book if I haven't been contacted by the author herself. So, I'd like to thank Amanda for contacting me. 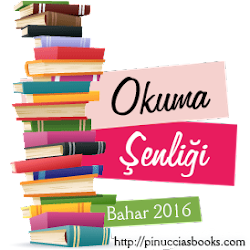 I generally blog in Turkish and I generally read non-Turkish books. 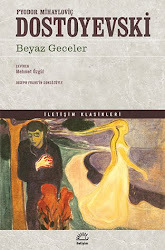 Until now not a single Turkish author contacted me via my blog but Amanda did so I'll never forget it. It's been really special for me. When she asked me to read and review her book, I, o course, agreed to do it. It's the story of Frieda whose life changes in an unimaginable way on a regular day she decided not to go work after a bad date.Suffering from a mental disability, Frieda has always hard time dealing with unpleasant things. She suddenly becomes violent, furious and at times she blacks out. However, her disorder is the very reason she survives after an apocalypse. Together with her cat, Snuggles, Frieda has to find her own ways of survival in this new cruel, dangerous (an almost hopeless) world. What is more challenging for Frieda is choosing a new path to follow when she meets another survivor of the apocalypse, namely, Mike. I was a bit nervous before I started reading this book as I promised the author herself to review it. I was thinking what I would do if I cannot keep reading after the first few pages and honeslt, this made me postpone start reading it for a week or two. I'll start with the story itself. I'm a sci-fi fan in all aspects: I read sci-fi books, I watch sci-fi movies and TV series so the only thing that caught my attention in the core of the story is the disorder of Frieda, nothing else. When one is exposed to too much apocalyptic stuff, s/he always tries to find something untold before. I believe this is an understandable but easy wish from a reader's/watcher's perspective. It also puts a lot of pressure on the creater's side. The story was not a new one but the main character was. I liked unstable, unpredictable, complicated character of Frieda. Sometimes I managed to understand her. Sometimes I just couldn't relate with her and I think this shows the author's success in creating the character and adding bits of mental disorder. I liked the pace of events. I almost always like stories where the action hero is female like this one. 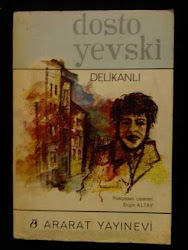 I also liked how the book ended, which is very tricky in apocaplyptic novels. Sometimes the auhtor ruins everything with a bad ending. 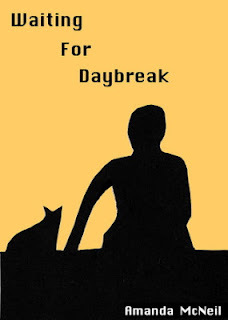 Amanda McNeil did not do that and I managed to read Waiting for Daybreak in a single day (although it was in English). It was my first Amanda McNeil novel so I can count it for New Author Challenge.